You can never have enough wall decor ideas. Today we’re excited to have our friends at Curioos, content manager, Koun Bae, and resident interior design expert, Mary Rogers, share their insiders’ tips in the blog post below. Decorating your walls can become an overwhelming task if you don’t know where to start. 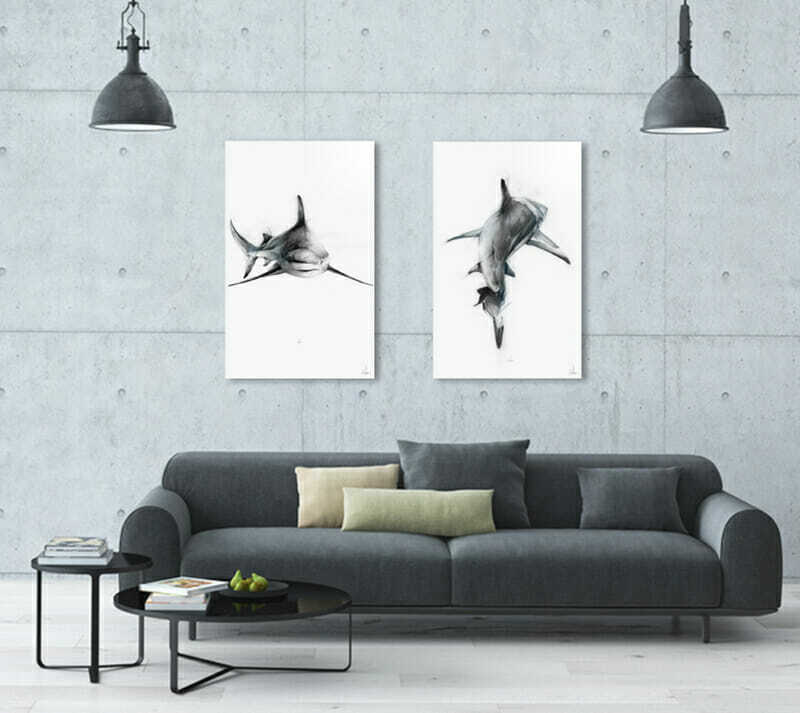 With the new Curioos Home series, we’re letting you in on expert tips and tricks to help you decorate your space with style. First up: finding two art pieces that are better together. 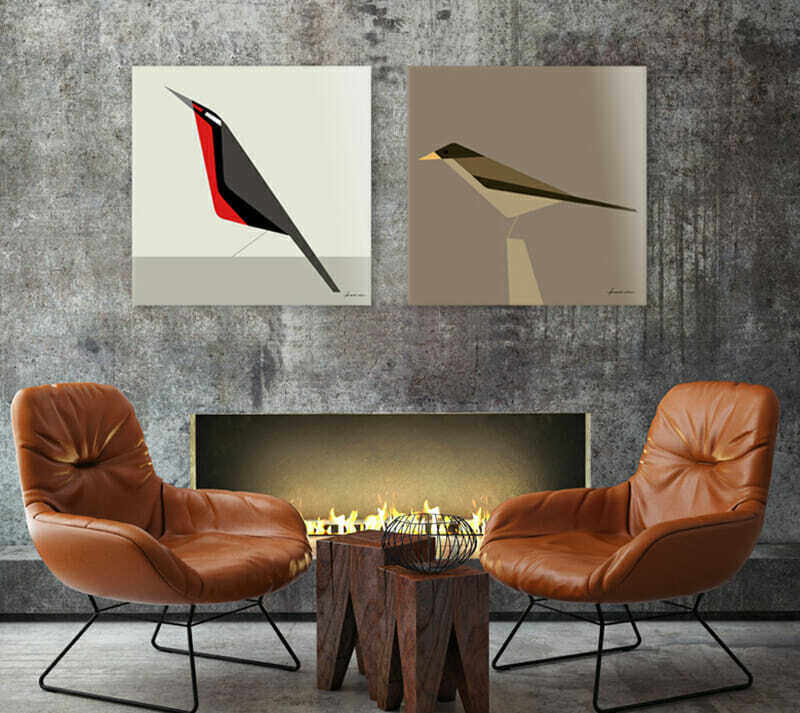 An art pair that works well can make your home look polished and professionally decorated. 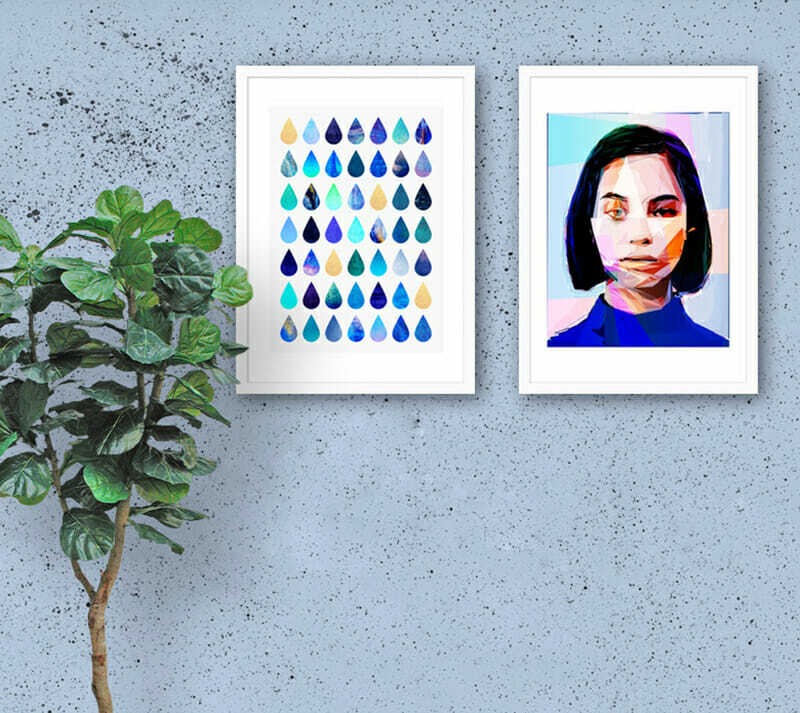 It’s way easier than a gallery wall and more impactful than a single piece of art—what’s not to love? Here, a few tips on how to do it right. 1. Choose a color theme. Focus on matching up one color or shade—repetition pulls a room together. 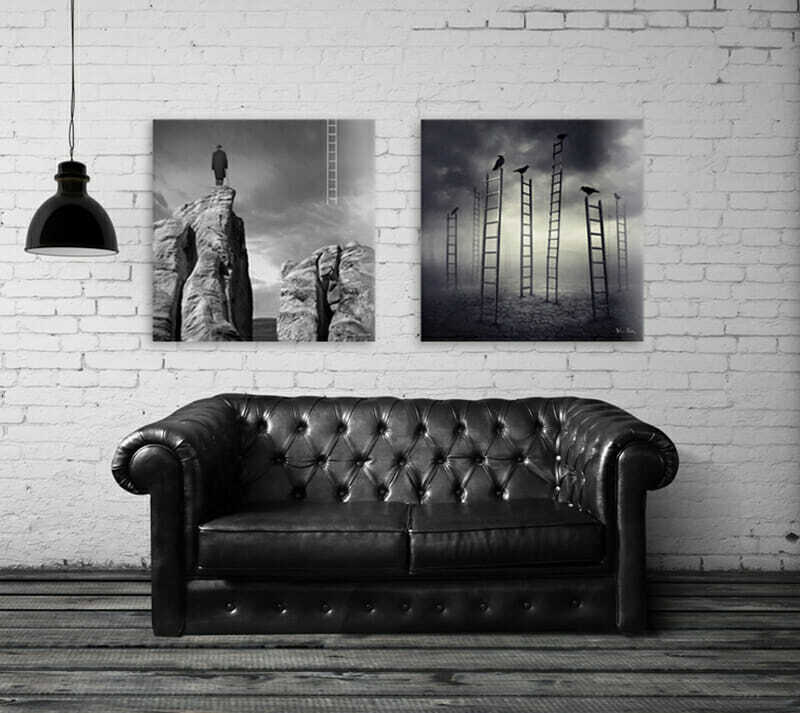 When choosing art for an already-designed space, choose pieces that will complement the space as well as each other. Find a color within your room you want to emphasize and try to find art that contains that shade. If you have a neutral space, be bold with your art to bring in some color. Here’s the catch: play it too safe, and it can feel too matchy-matchy. It’s all about the balance. This might seem obvious, but if you’re trying to match a pair, the sizes should be about the same. Try matching the width or the length (or both!). Same-sized pieces makes for a more cohesive match and will look better pulled together. 3. Match mood and style. You want your pieces to reflect the same mood whether it’s singing in the shower or crying into a souvenir shot glass filled with tequila. A similar feel and aesthetic that pull the two together is a must. Also consider the artistic style of the two pieces. Are they Pop Art? Photomanipulation?Abstract? Different styles can prove to be a match, but it’s much trickier. 4. Find things in common. Another avenue you can take is to choose similar themes. Cities, architecture, animals, nature, or even a portrait of your cat and your dog together—it can all work. Just make sure there is also a color or mood that ties the two together. Love traveling? Try a quote about Paris next to a map. Into music? 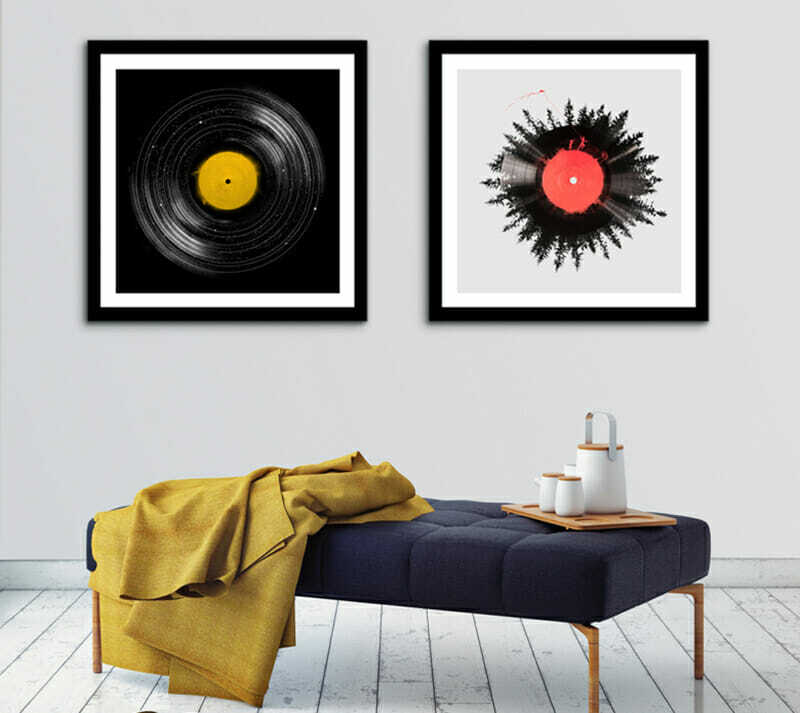 Hang an image of a record player along with your favorite artist.